I love a fresh meal packed with protein and veggies. It’s a bonus if it can be prepared quickly, or ahead of time! 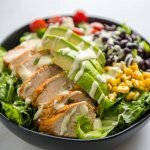 This Southwest Chicken Salad is a perfect meal for a warm summer night, or a delicious lunch to prep ahead of time. 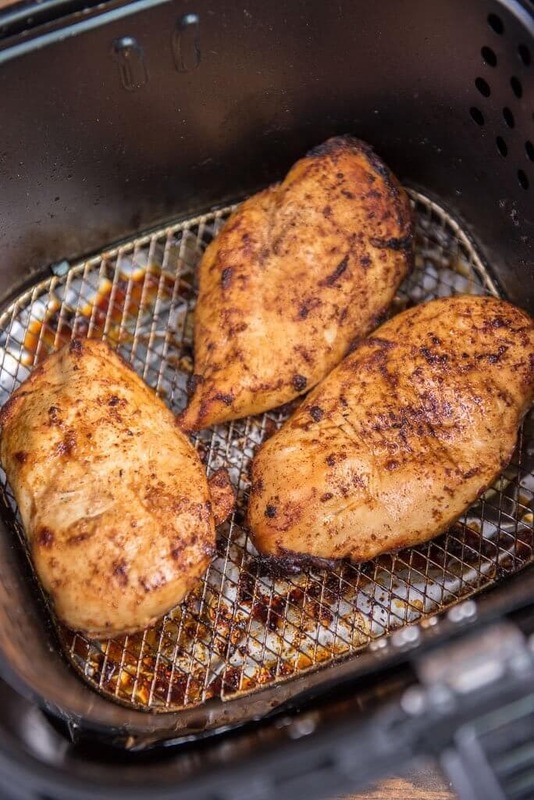 Have you ever made chicken in the Air Fryer? It is tender and juicy and I am glad I finally discovered how delicious it is because now it’s the only way I want to make chicken! 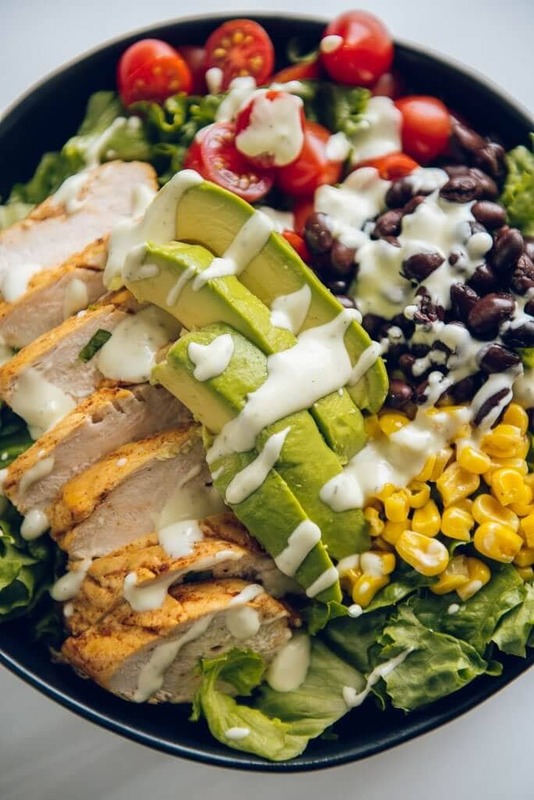 your favorite dressing- Ranch, Chipotle, Avocado… the options are endless! 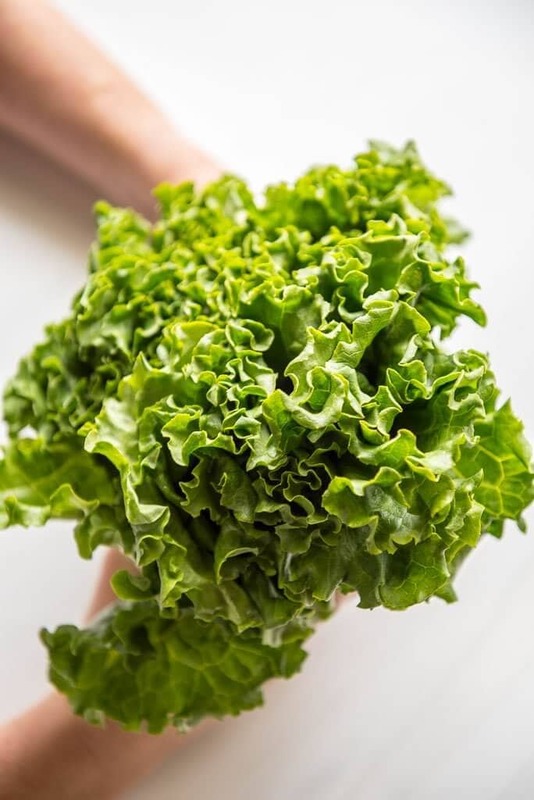 I chose green leaf lettuce for my salad, but you can use whatever lettuce you prefer. It doesn’t matter a bit, so pick the one you enjoy the most. I love to share recipes that are customizable. This is one of those recipes! You can modify this recipe depending on how hungry you are or if you need more or less food for fuel on any given day. 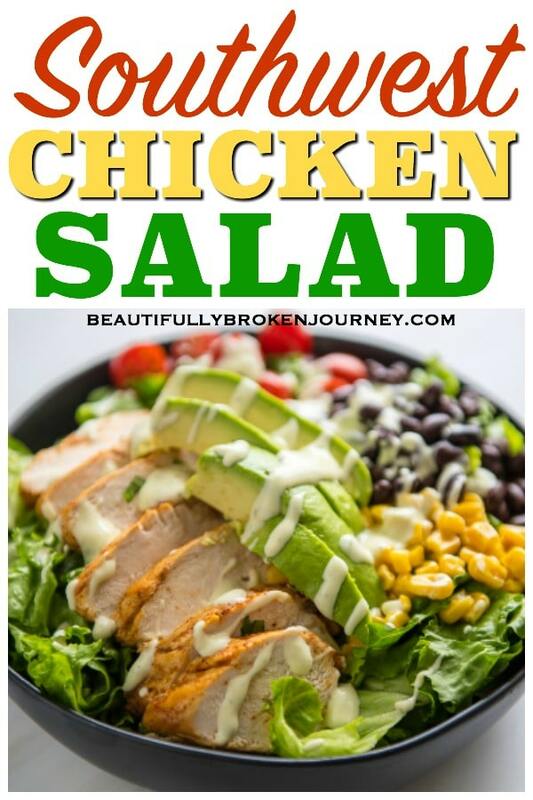 This Southwest Chicken Salad is a perfect meal prep option to make the chicken ahead of time and then have the salad ingredients ready to go so when you need a quick lunch or dinner so it is ready to go in your fridge! 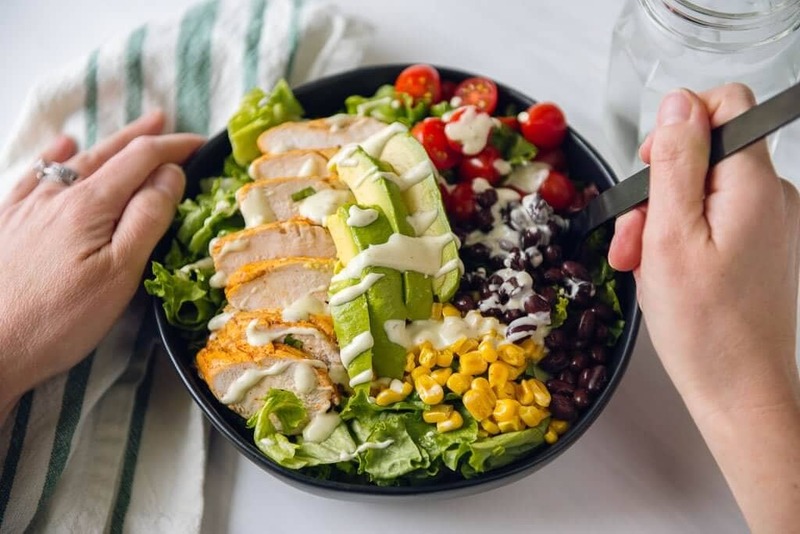 Tender juicy air fryer southwest chicken over a bed of greens topped with your favorite toppings such as corn, black beans, avocado and drizzled with your favorite dressing! Prepare Air Fryer Southwest Chicken according to recipe. While chicken is cooking in air fryer, wash and cut lettuce. Divide into 4 bowls. Remove skin and pit from avocado and divide into 4 servings. Cook corn, if desired. Or if using frozen corn just rinse well with water until no longer frozen. Divide all toppings into 4 servings and place each serving on 1 cup of lettuce. Once chicken is done add to salad and drizzle with your favorite salad dressing or salsa, whichever you prefer! The nutrition information does not include salad dressing. I saw this on Instagram this morning! Can’t wait to try this. Sounds perfect for a lighter meal this holiday weekend! Thanks so much for creating it. Thanks so much! Excited for you to try it!